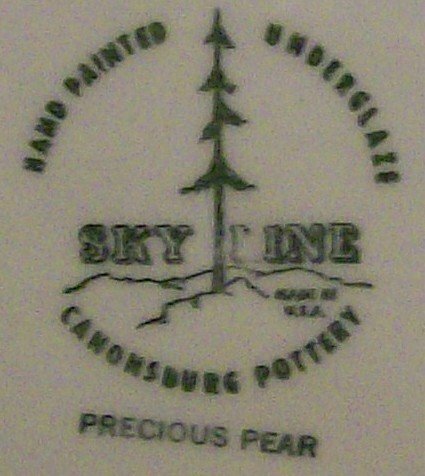 "Precious Pear" pattern by Canonsburg Pottery of Pennsylvania. 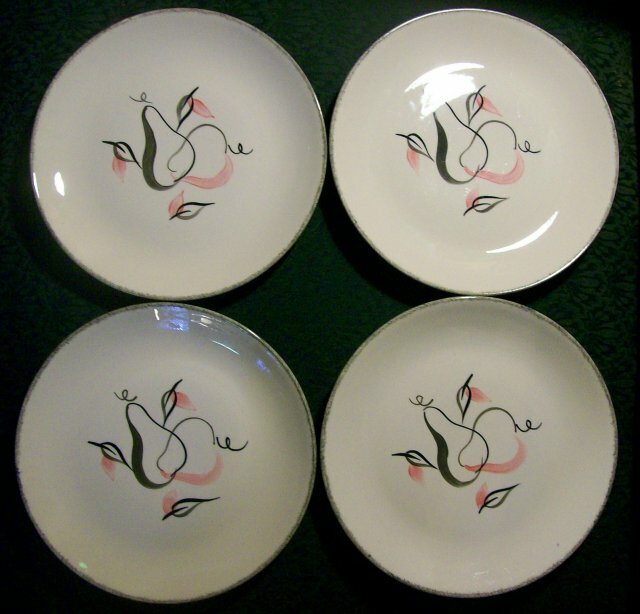 Matches the Blue Ridge "Shadow Fruit" pattern by Southern Potteries, but is clearly marked on each of the 4 plates. Skyline logo, circa 1950's. Charcoal gray and pink on white with gray feathered edge. 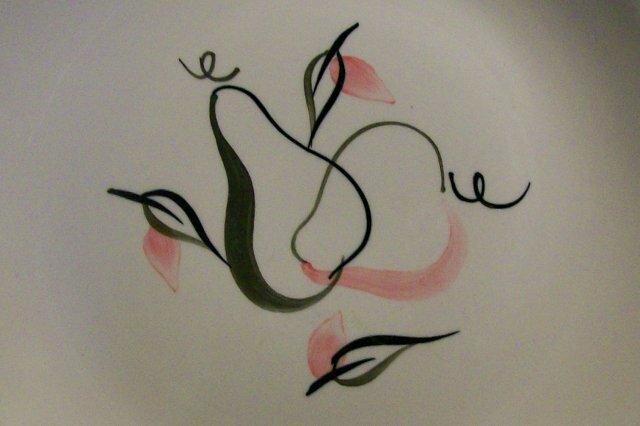 Each plate measures 9.5"d. Very light to medium surface wear, with no chips or cracks. Sold as a set. Inglenook Antiques...Established 1989..